The Ardent Writer Press welcomes debut author and retired teacher, Kathy Andrews, with her memoir, Heaven’s Animator – The Elusive Dreams of David D’Alo.. Kathy Andrews’ memoir is the story of the bonds of family and how dreams, even if unfulfilled still maintain a hold over those that survive, enriching their lives, even in the face of death with the untimely passing of her son David D’Alo. THE BOND BETWEEN MOTHER AND SON IS STRONG. Sometimes it overcomes even the chains of death. Kathy Andrews was proud of her son, David D’Alo. From the beginning David was special. Whether it was prevailing over a dangerous incarcerated hernia at birth, winning a city-wide art contest in high school, or building a replica of the DeLorean from Back to the Future as an adult, at every turn Kathy knew her son’s life would be remarkable. And remarkable it was – as David’s dreams of becoming an animator gelled into an extraordinary adventure of art and energy, especially once he created his star – Boomer Bunny. Boomer was more than a friend, he was David’s outlet, reflecting David’s vitality of creative spirit. This is the story of David and Kathy whose bond birthed Boomer and proved that a family’s love builds not only talent but provides strength for meeting the trials of life. It is also the story of how David’s untimely death did not dissolve the bond of mother and son, but strengthened it. The spiritual journey of mother and son demonstrated that as flesh passed to dust, the astral highways between the living and the dead remained open. I BECAME AN AVID READER at a very young age which sparked my dream to someday write a book. I graduated college with a Bachelor of Arts degree in Liberal Studies, an Elementary Teaching Credential and a Site Supervisor Permit. During my 40 years of teaching preschool and kindergarten I implemented, directed and taught a preschool program for the City of Santa Ana, California. I also wrote and illustrated children’s books during my career to enhance my lesson plans. It is my desire to purse having those published. After my oldest of three sons passed away I felt that it was my mission to honor his memory. The best way that I could do that was to fulfill my dream by writing a book about David’s artistic accomplishments and fulfill his dream of becoming famous for creating his comic strip character Boomer Bunny. 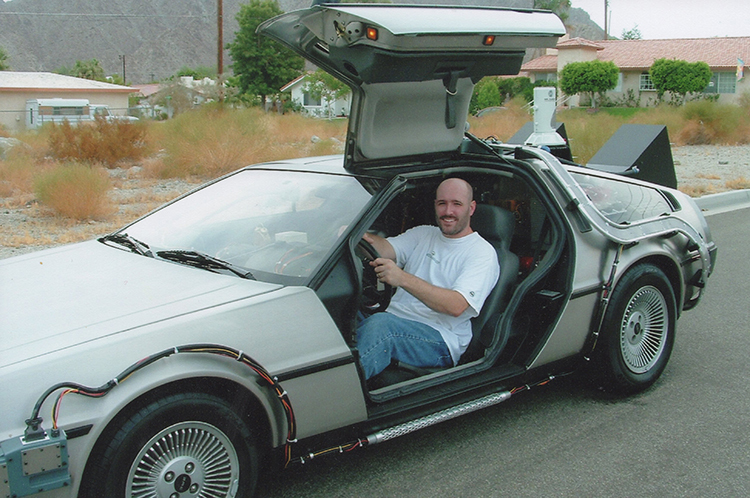 The odyssey of David’s achievements as an artist with comic strips, drawings, animation, Halloween entertainment and transforming a DeLorean into the back to the Future time machine are revealed throughout the story. David’s adjustment to new beginnings, his love for family and his desire to make people smile by sharing his artistic projects are prominent in the story. 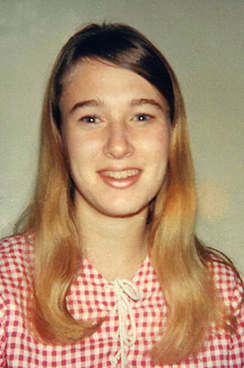 The unimaginable loss of a child is chronicled in this story. It is my individual journey of becoming a bereaved parent when David suddenly and unexpectedly passed away, with an emphasis on the emotional support from family and other grieving parents. I describe mystical events that convinced me of receiving afterlife messages from David. Discussions with other grieving parents about signs from butterflies and recurring phenomena with music and dreams are recalled by me in this story. David’s philosophy to have fun and live life to the fullest, because life is too short, is inevitable throughout the story and was uniquely illustrated through Boomer Bunny seizing life and acting on every opportunity that he could in each of the comic strips. This true story takes readers on a journey from delightful humor, through the sorrow of child loss to the remarkable comfort of receiving signs from the afterlife. 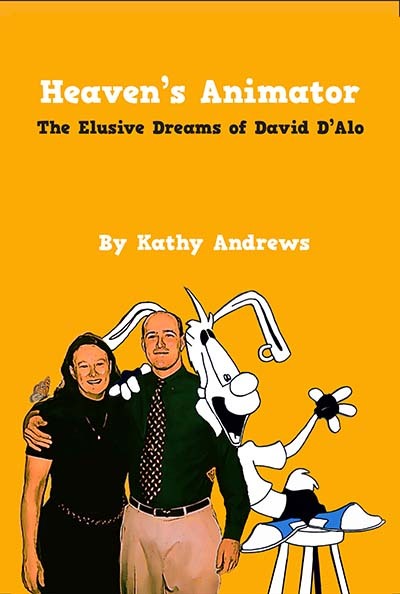 Heaven’s Animator – The Elusive Dreams of David D’Alo was published by The Ardent Writer Press in March 2017. The Link to the Amazon Sales Page for the Paperback is HERE. The Link to the Amazon Sales Page for the Kindle eBook version is HERE.